Georgia. Chiatura City. 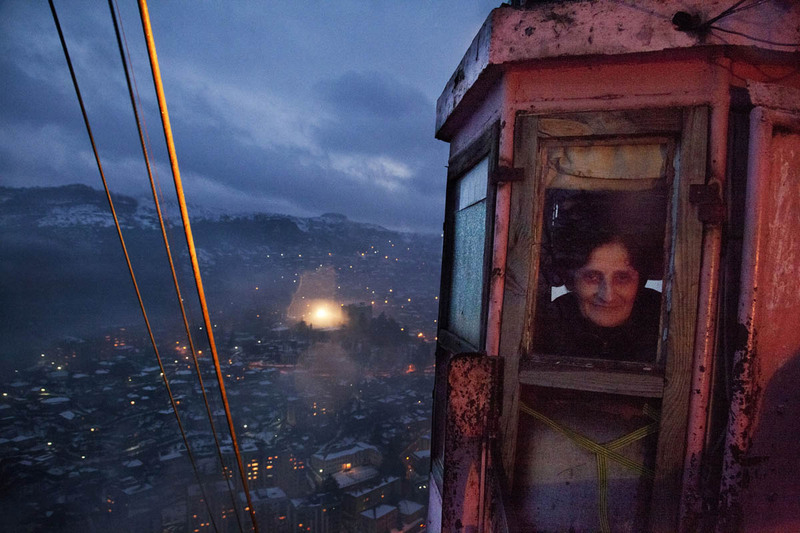 A cable car controller on her night shift. Cable cars are dated back at Soviet era. It was build to tranport mineworkers up and down the mine. 60 years later it is still running and used as public transportation.